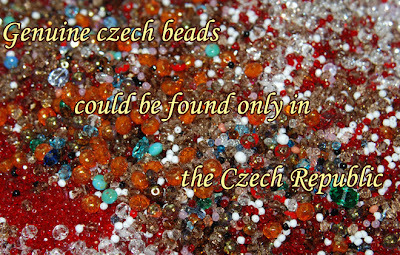 Beading Arts: Czech beads straight from the source! Do you love Czech beads as much as I do? And how about the buttons? Wow! Beautiful Czech pressed beads have long been a favorite of mine for adding to my bead embroidery. No other pressed beads have that clean edge and beautiful true color that these beauties have. So you can imagine how thrilled I was to gain a new sponsor for our site: Best Beads, who bring you Czech beads directly from the Czech Republic. Yup, you read that right...directly from the source! You will find their colorful banner ad right over in the sidebar. I'm also adding them to our suppliers list, which you will find at the tab at the top of this page. Please go visit them! SWEET! I do bead embroidery so YES! I love Czech. The irregularity of some of the beads helps me puzzle more into spaces other types of beads would never work in. And the colors...and the pressed shapes. Thank you thank you. Going to their site to check it out.